You may have noticed that if you have downloaded the Timbeter app, there is also an additional app named Timbeter Container that is also available to users. But what is this separate app? How can you use it? Whom is it for? Timbeter Container is a specialist solution for those who are exporting timber in shipping containers to Asia. Timbeter Container helps to reduce workload, increase measurement efficiency, speed up digital data exchange and thus makes the whole process quicker, smoother and transparent. App users quickly obtain the number of logs; the volume (either using cylindrcal, JAS, GOST or Nilson formulas) and the log diameters (if using the reference/measurement stick). If users wish only to count the number of logs, reference is not needed. How does Timbeter Container make the measurement process more effective? 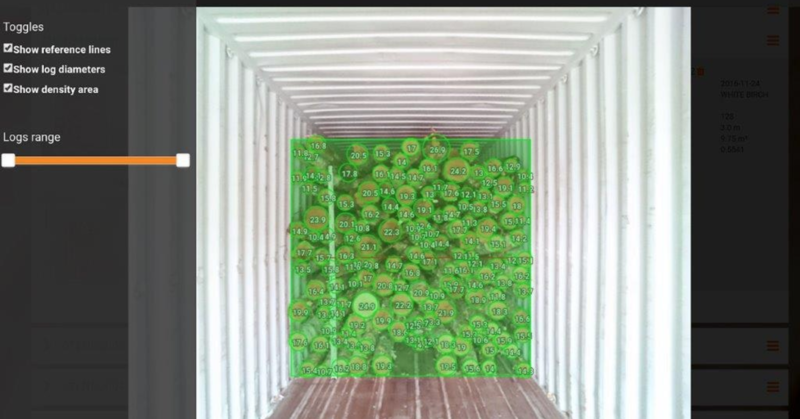 Counting and measurement of logs when loading of containers is both time consuming and monotonous, and errors will naturally occur. Traditionally, every single log is measured one-by-one, data is written on paper, that is taken to the office and data inserted into an excel spreadsheet. Each container consists of multiple stacks and in most cases multiple containers are loaded simultaneously. The average time to count and measure one shipping container is approximately 45 minutes. By using Timbeter Container you can take a picture of every load and users quickly obtains the piece count, the volume, and the diameters of each individual log. Timbeter Container minimizes (even eradicates) human errors during both measuring timber and subsequent data entry. In addition, users utilize the regular Timbeter app’s special loading feature. 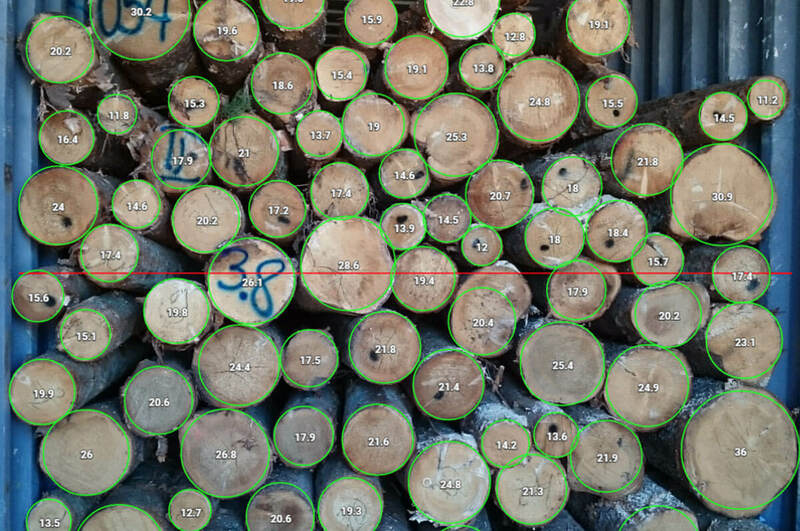 The regular app aids users to obtain information about the certain amount of cubic meters from the pile, by determining exactly the amount of logs that need to be loaded. This empowers app users to optimize the loading activity. After the measurements have been made, there’s the dull paperwork that needs to be done. Data insertion and compilation of the bill of lading requires time. Measurement reports easily get mixed up and it may happen that clients receive information that is far different that was written in the bill of lading. ● containers belong to a certain bill of lading. This information can easily be shared via a link with the receiving party. Buyers then can see in advance the quality of the wood and potential disagreements can easily be avoided. If there is disagreement then the packs can be re-measured in the web-based storage module. Within the container module users have a real-time overview of all their measurements made, so it is easy to analyse and share data and react quickly to changes in the market. Last but not least: without documentary evidence, disagreements easily arise. 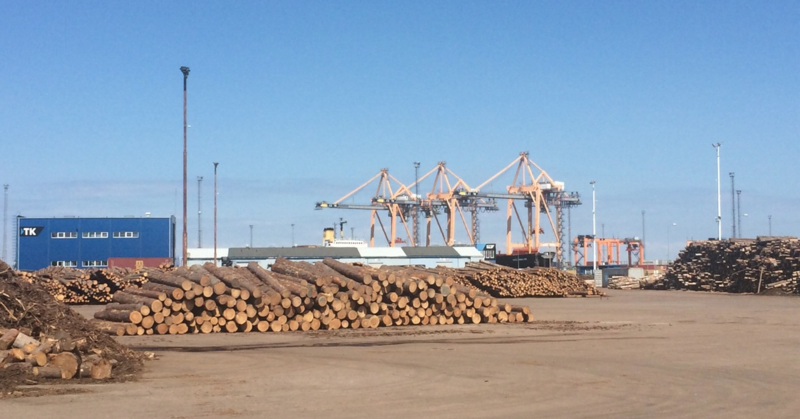 Companies can argue for months because when the container with timber reached its final destination (typically takes up to 2-3 months) there’s some logs missing or have different quality as expected. As they say: one picture says more than thousands of words. With Timbeter Container bill of ladings and container measurements are easily shared, so if there are disagreements, digital footprints are always available to assess and remedy the situation. So, how can Timbeter Container help you? First of all: it saves time – from 45 minutes that is spent on measuring the logs plus 15 minutes on paperwork to record the entries. Using the Timbeter Container app you can complete the entire process in a couple of minutes. Secondly: mistakes happen: either during the measurement process or the data entry. With Timbeter Container you’ll eradicate errors. Thirdy: one picture says more than thousands words. There’s always a digital footprint available and stressful and costly disputes are avoided. Timbeter Container doesn’t require any special data configuration or installation: simply download the application, insert your data regarding the bill of lading and containers from the container module and start making your measurements. The application then counts the number of logs, providing the volume estimation and the diameters of each log. 1) Loading the small-end diameter facing towards you (especially for higher quality, heavier wood, because they do not entirely fill the container) or 2) Using the cylindrical formula for lower quality wood, that would initially give a reference volume, but that can be easily validated at the destination by measuring the same diameters before unloading.